Amazon quietly launched an e-commerce channel in the last couple of days that's selling TV-and-Internet-bundles from Comcast Xfinity. 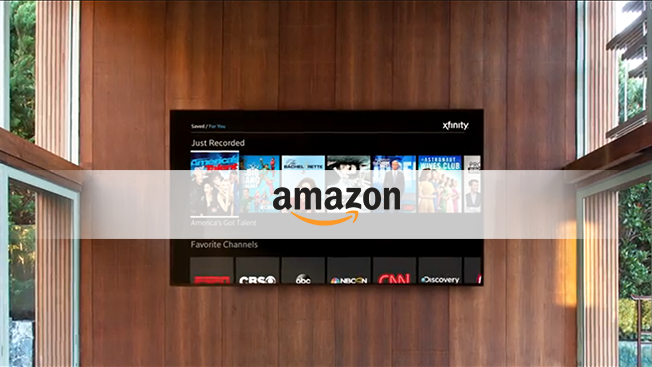 Called Amazon Cable Store, the channel represents a partnership between the two companies. Given Amazon's huge traffic—it attracts 89 million monthly viewers, per Quantcast—the deal seems like a win for Comcast, which looks to add to its 22.3 million subscribers. "Amazon is not only the biggest online retailer and a place where millions of our customers shop every day, but it's also a brand that's unrivaled when it comes to customer service," Charlie Herrin, evp of customer experience for Comcast Cable, said in a statement. "Amazon's new marketplace provides an immersive online destination to showcase our terrific suite of products including Xfinity X1." The online store appears to be built to include cable/Internet packages from other providers as well. The Amazon-Comcast development was first reported by TVPredictions.com before it was announced today.